LOUISVILLE, Colo., January 23, 2019 – Inovonics, an industry leader in high-performance wireless sensor networks, announces the increase in specified battery life for its EN1501 pulse meter and EN1550EP encoder pulse meter transmitters from the previous five year, to a new 10 year life expectancy. This new specification was made possible through the continual testing Inovonics undertakes with respect to the performance of its EchoStream® RF network. Testing is done to ensure the company’s products deliver maximum range while minimizing power consumption, ensuring just enough output power for message delivery. This is also critical in minimizing the number of repeaters needed to cover a particular property, thus decreasing cost and complexity, vs. competing alternatives. For more on the nuances of RF network performance, please see the Inovonics white paper, Characteristics of RF Wireless in Commercial Applications. Based upon this rigorous testing, Inovonics specifies that Panasonic CR123A batteries will operate continuously for 10 years in the indoor climate-controlled environments typical of multifamily housing, mixed use or retail properties for submetering/automatic meter reading applications. This applies to both new EN1501 and EN1550EP purchases, as well as transmitters currently in the field. Inovonics, celebrating over 30 years of commercial wireless leadership, provides wireless intrusion and mobile duress devices, senior living and submetering transmitters, environmental sensors, and receivers for integration into a variety of application specific hardware and software. 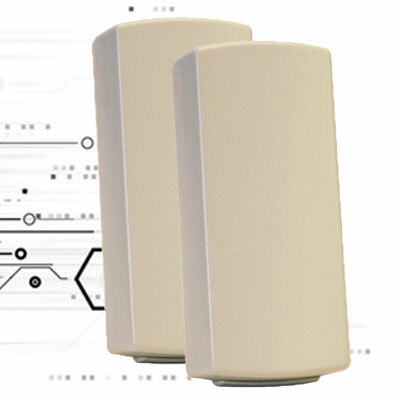 Supporting installation of thousands of devices across a campus, the EchoStream family of high-power repeaters combine to create an intelligent mesh-like network extending the range of wireless coverage for commercial buildings. For more information, visit www.inovonics.com.